During the Smeerenburg expeditions (1980-1983), grave yards of 17th century whalers have been excavated. These graves were well preserved in the permafrost. Bones, clothing and hair were part of the finds. 17th century whalers were wearing normal Dutch winter clothes on Spitsbergen. 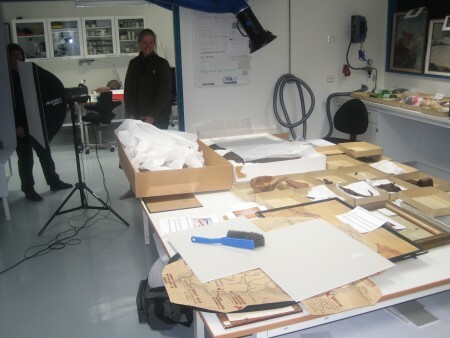 At the start of the expedition, it was decided that half of the collection would return to Norway. Most was returned several years ago when the Governor of Svalbard sent his vessel to Amsterdam. Some material was on display in the Zuiderzee Museum. Those finds are returned today. Margje and Maarten shipped the material with the tourist boat Ortelius. 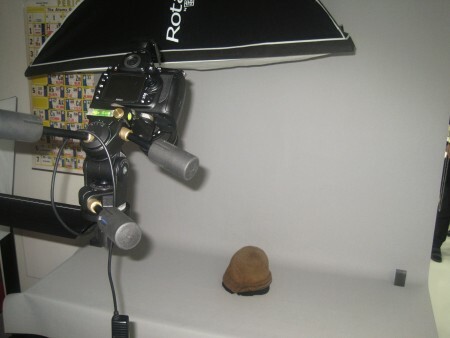 As soon as the material arrives at the depot, photograhs are taken and the finds are cataloged.